Because you’ll have a whole YEAR to plan to make Bloom Bash a reality for you! Mark it on your calendar, plan, get the babysitters, take time off work, save financially…all those good things! 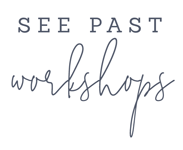 Since we’re only doing one workshop, all of our energy and focus will go towards this event! This means we’re bringing in lots of amazing speakers, teachers, and people we think you’ll benefit learning from. We crunched the numbers and found a way to make Bloom even more affordable for you this year. We are passing along the savings to you! That’s cause for celebration, friends. Okay, okay…enough with this stuff. Who wants to find out where we’re going?! Scroll on! 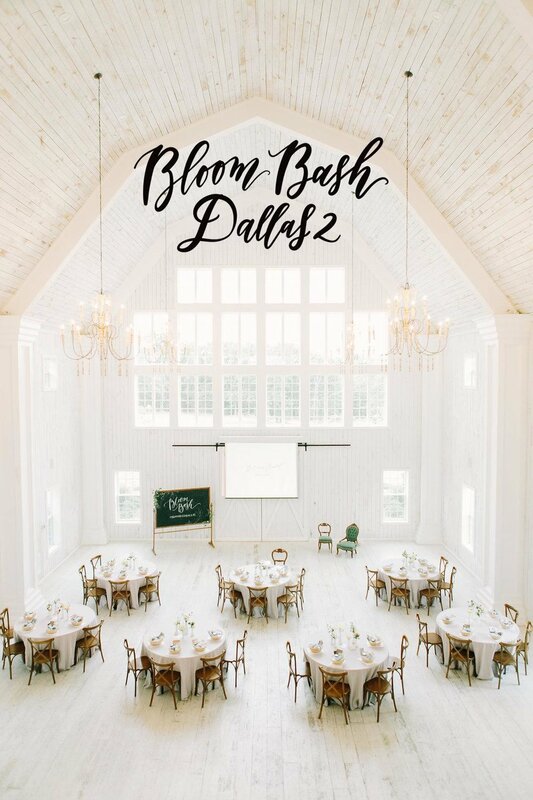 That’s right, Bloom Bash is heading back to The White Sparrow Barn on November 5-6th, 2019. The White Sparrow has been our favorite venue of all time because of a million reasons. But for starters, it’s gorgeous and unique style stops us dead in our tracks. This was the first all-white barn of its kind and we’re so enamored with the beauty. Every single detail leaves your jaw dropped to the floor. Promise! Second, the staff is incredibly kind and helpful. Third, there is so much space for us to spread out. 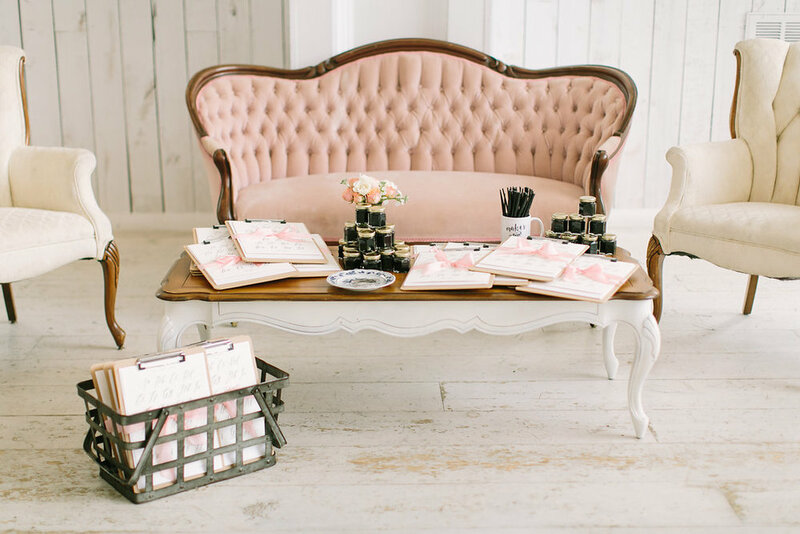 The layout is perfect for a workshop like ours with tons of nooks and crannies. The outdoor space is also stunning, which is perfect for our styled shoot! Isn’t it lovely?! We can’t wait to be there in November (yes, a year from now!) meeting YOU! Who else will be there?! 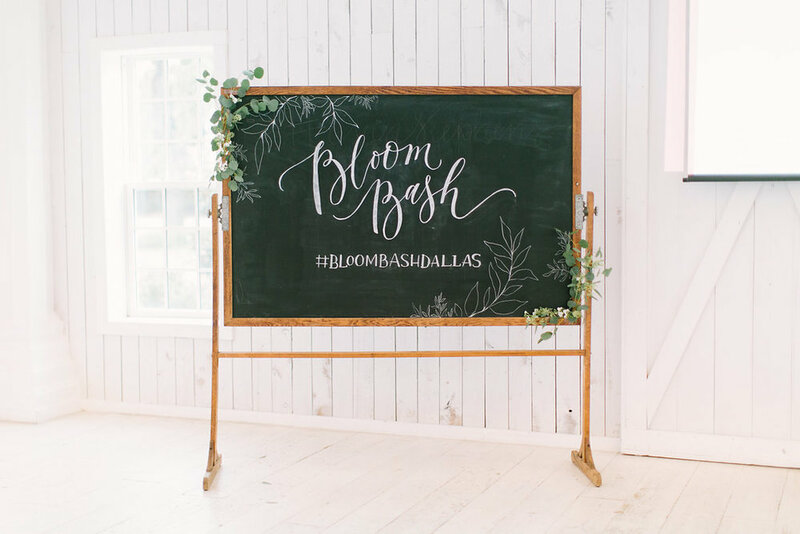 Our Bloom Bash Dallas 2 attendees will have the please of learning from Amy Osaba Events, Prairie Letter Shop, Intentionally Designed, Box + Bow, Shauna Veasey Photography, Jill Atogwe, and more. 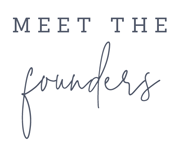 We sure hope you’ll join us and the other 25 women who will be there! 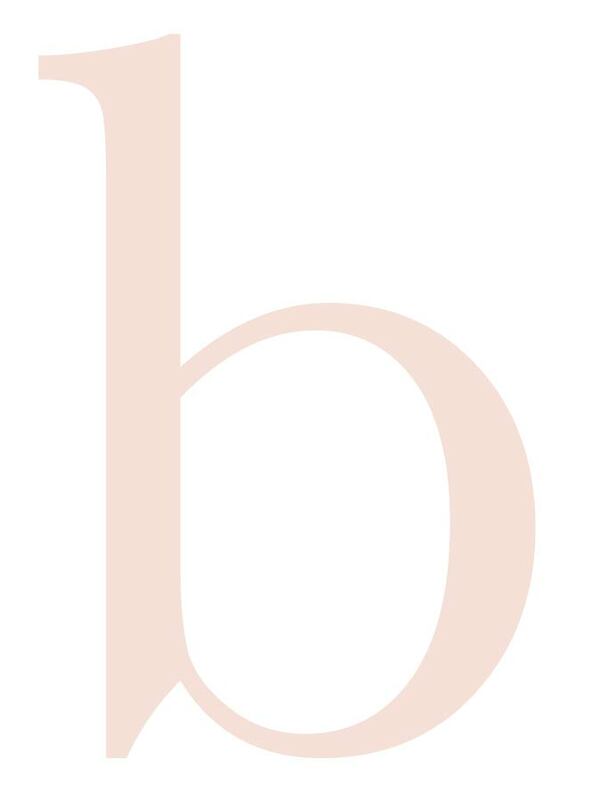 Let us be the first to welcome you to the Bloom Alum family, which consists of over 450 women over the last 5 years. Hooray! If you have any questions, ask away before our ticket sales open on November 27th! Slide in our inbox bloomtheworkshop@gmail.com.